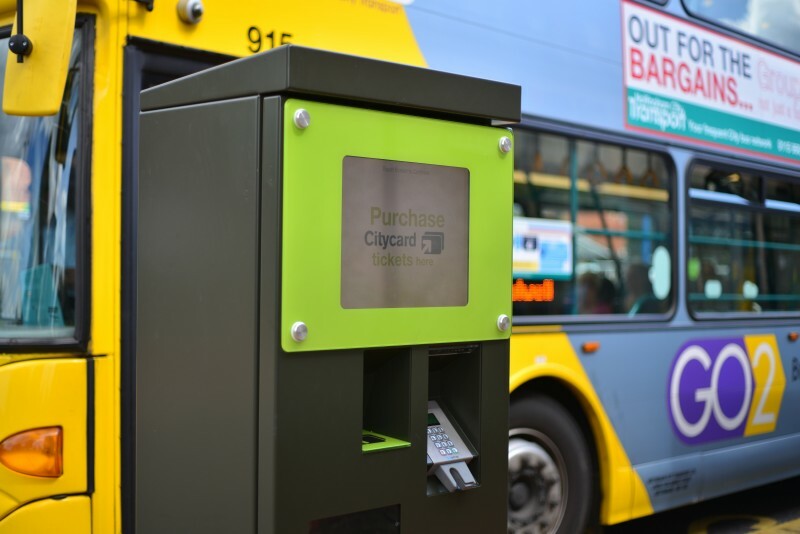 The Robin Hood ITSO smartcard initiative was launched in 2015 as part of a drive by Nottingham City council to deliver access to more convenient and cost-effect travel across the region’s public transport network. Three years on, and with the city boasting the highest penetration of SMART ticket vending machines (TVMs) in the UK, we look back at the origins of the scheme and assess the implications for public transport in the region. In order to deliver ITSO interoperable SMART ticketing for customers it was clear that Nottingham City Council had to bring together the various transport operators under one banner. Operators from the neighbouring authority of Nottinghamshire County Council, plus latterly tram and train operators in Nottingham, started working together on integrated ticketing via the newly created ‘Robin Hood Network’. With the newly established network in place, public authorities then turned to the expertise of SMART ticketing solution providers Rambus and Cammax, who were responsible for developing and deploying ITSO SMART outdoor card dispensing kiosks as well as indoor TVMs. Nottingham City Council had already worked closely with Rambus to set up and deploy their ITSO- based English National Concessionary Travel Scheme (ENCTS) but the authority wanted to build on that success by offering commercial smartcard ticketing to the wider public. By exploiting product Remote Ticket Download (RTD) technology from Rambus the council was able to deliver convenient and cost- effective smart ticketing; enabling passengers to instantly add pay-as-you-go top-ups and tickets to their ITSO based smartcard or NFC-enabled device. The tickets and top-ups could also be delivered through new infrastructure, such as Cammax SMART ticketing machines. 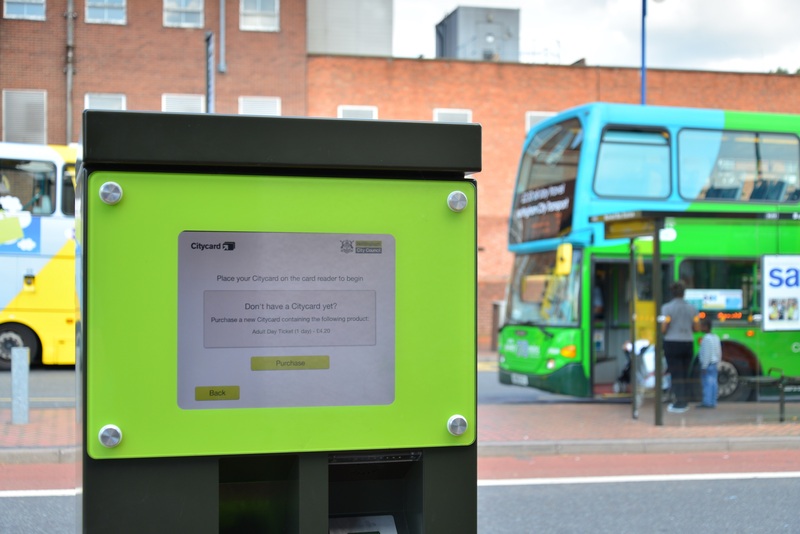 Nottingham City Council’s initial project with Cammax involved 82 ITSO Smart Outdoor Card Dispensing Kiosks and 6 Indoor TVMs, all of which were deployed in prime city centre locations. In 2016, a further 66 were rolled-out close to transport stops as the partnership developed. Since the launch of this ITSO scheme approximately 150 smart kiosks in total are now available to use across the city, making it the highest city centre penetration of smart TVMs in the UK. As part of the council’s continual push to improve services, there are now 9 park and ride locations across the city with 6,500 available parking spaces- making travelling by public transport in Nottingham easier than ever before. There are also 1,500 Realtime Information displays at bus stops which show when the next bus is due to arrive – achieved through satellite tracking to pinpoint the location of each bus. So far public reception to the new technology has been extremely positive with Rambus revealing that four million pounds worth of ticket value is processed each year via the Rambus RTD product. The success of the Robin Hood Network is a testament to the hard work and vision of local authorities, operators and technology providers. The initiative also serves as a shining example of what increased stakeholder collaboration can achieve. Passengers are now able to access flexible, convenient and more affordable public transport and more UK regions should take note as they look to develop SMART transport ticketing schemes of their own.